The UNCG Office of Leadership and Service-Learning (OLSL) is teaming up with Campus Activities and Programs (CAP) to host a campus-wide Constitution Day Celebration on Friday, Sept. 15, and Monday, Sept. 18. Students are invited to stop by the Elliott University Center (EUC) Commons (atrium area inside the EUC entrance) from 11 a.m. to 2 p.m. Friday and Monday to participate in Constitution-related trivia, win prizes and register to vote in this year’s local elections. “This event is an opportunity for students to reflect on the anniversary of this founding document, test their knowledge about the Constitution in a fun way, and, most importantly, engage in democracy,” said Kristina Gage, assistant director for community engagement for OLSL. Constitution Day, observed each year on Sept. 17, celebrates the formation and signing of the U.S. Constitution on Sept. 17, 1787. During this day, also known as Citizenship Day, Americans are encouraged to reflect on the rights and responsibilities of citizenship and what it means to be a U.S. citizen. 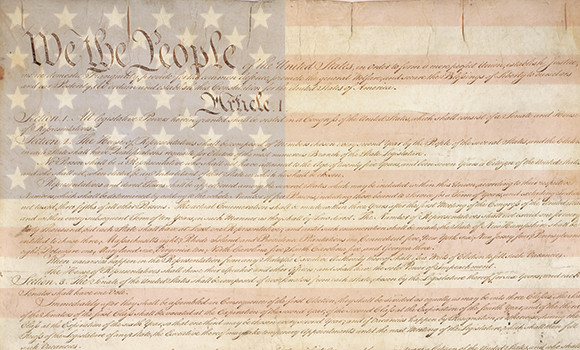 Learn more about Constitution Day here.